Singapore is one of my favourite places to visit because I find it safe, clean and there is just so much to see and do. I can never turn down a trip to Singapore but sadly I do not seem to have enough time to go to all the places I want to whenever I visit Singapore. To make the most of my time during my next visit there, I’ve decided to do some research on the places that I want to visit. Well known actor, Aaron Aziz, who is a native Singaporean, was chosen to share his weekend experience in Singapore through his eyes with us.. so check out his video here…. Aaron’s Long Weekend video shares with us a peek into an unforgettable and well-spent weekend in Singapore! Did you know that Singapore has got some new attractions this year and they all look very exciting to me! There’s the opening of the Lee Kong Chian Natural History Museum, as well as the highly anticipated National Gallery. I, for one really want to go check out that Lee Kong Chian Natural History Museum badly! For foodies…. You would be absolutely delighted to check out the restaurants/cafes I’ve included in this post. Only one way to find out – keep reading! By the way, I found that this site (www.yoursingapore.com/jomsingapore) has got some amazing deals up for grabs. Some of the deals include flights, accommodation and entrance tickets to some tourist attractions etc. Sounds amazing right…???!! Like I said, there is just so much to do in Singapore and I really do not know where to start, but with this guide… You can indulge in some awesome food, soak up the city’s arts and culture and even boast about overcoming Singapore’s thrilling attractions!! For a start, book a stay at a trendy hotel with amazing experience such as below..
W Singapore is set amidst among lush greeneries and the lively coastal setting of Sentosa Island, and it is minutes away from Singapore’s mainland’s business district, shopping and tourists attractions. Choose from 250 custom-design guest rooms and take a dip in its 1,338 square feet pool that resembles a lagoon called the WET® pool or a rejuvenating spa experience at the AWAY® Spa. Situated along Singapore’s western highway, Genting Hotel Jurong is also strategically accessible to Resorts World Sentosa. It has a “hotel in a garden” theme, and families can look forward to a relaxing getaway amidst extensive landscaping and greenery, roof gardens and sky terraces on top of contemporary rooms with clean line furnishings. There are also free shuttles that are readily available to transport guests to and from the hotel to the Resorts World Sentosa. Village Hotel Katong is a flagship village hotel that reflects its strong Peranakan Heritage despite its chic and modern interior. It is also located in the surrounding of Joo Chiat and Katong district in Singapore. Village Hotel Katong is also one of the few hotels located in the eastern region of Singapore, which is within a 10-minute drive to the Singapore Expo and a 15-minute drive to the Changi International Airport, Central Business District and Orchard Road shopping belt. It is also within a 5-minute walk to the Parkway Parade Shopping Mall and a 10-minute walk to the East Coast Park. If you want a serene and soothing refuge be sure to check out One Farrer Hotel and Spa, a five-star urban resort defined by a trendsetting approach towards lifestyle and hospitality. Located in Singapore’s heritage district next to Farrer Park MRT station, the luxury hotel is stylishly adorned with distinctive art pieces and sculptures from Sculpture Square complementing its modern decor. One Farrer Hotel and Spa impresses with thoughtful touches of luxury with 243 rooms, suites and villas designed to meet and exceed your expectations. 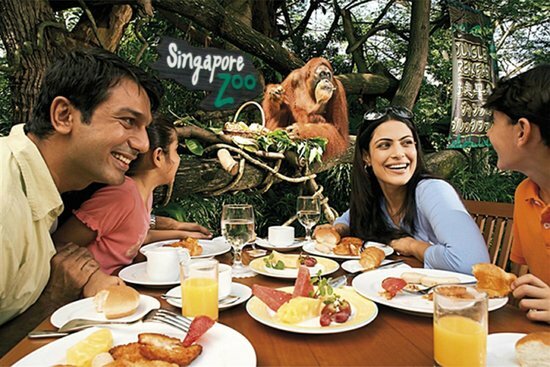 Then, kick off your day by having breakfast at the Singapore Zoo. It is the only place in the world where you can have breakfast with orang utans! A popular and award winning programme by Wildlife Reserves Singapore, the “Jungle Breakfast with Wildlife” programme will allow you to take photos with our charming apes and other animals as you enjoy a buffet spread of western-style and local morning delights! After your breakfast, you have to continue visiting the Singapore Zoo and take part in their interactive programmes like Token Feeding Times where you can feed giraffes and white rhinoceros. So, me being a huge fan of animals, I personally find Singapore Zoo as one of the best zoos in the world and I have been to quite a few zoos in my life…. Later in the day, you may take on a Hair-Raising Ride of a Lifetime at Universal Studios Singapore - Touted as the world’s tallest dueling roller coasters, Battlestar Galactica: Humans vs. Cylon rollercoaster was revamped this year with new redesigned vehicles. Do exercise your lungs and scream with your friends as you take on this hair-raising experience. If you have the strength to continue but would prefer something milder, hop onto the world’s first “Puss in Boots” Giant Journey where you can experience a cool anti-gravity, swashbuckling adventure. Sentosa Island is filled with much adventure activities for both families with kids. For the adventurers at heart, a visit to the MegaZip Adventure is a must! Perched atop Imbiah Hill on Sentosa Island, MegaZip Adventure offers a range of exciting adventures such as a climbing wall (North Face), a high rope obstacle course with 36 challenging elements (ClimbMax) and a stimulated parachute jump (ParaJump). The highlight of MegaZip is a zipline adventure where daredevil goers can “zip across”, at a speed of 50km an hour across a 75 meters high and 450 meters zipline. Bond and be exposed to new knowledge by visiting some of these enriching experiences Singapore is filled with many enriching experiences for families to enjoy. Bring your kids to the Lee Kong Chian Natural History Museum , Singapore’s only natural history museum, that houses some of Southeast Asian specimens and centuries old exhibits. One of the main museum’s star attractions is the three Sauropod fossils at the Dinosaur Zone. If you or your family has never seen a dinosaur’s structure up close, a visit to the Lee Kong Chian Natural History Museum will fulfil your children’s (and maybe even your own) wishes, wow them and let them learn a few things!!! Heaven knows I want to go to this place so much !!! Unleash your inner child at the MINT Museum of Toys. So many rare and unique one-of-a-kind toy collections from over 40 countries in the world and dating all the way back to the mid-19th century. It is also a good learning platform for kids because of its uniqueness of content appealing to all ages that captures the essential childhood experience of bygone years. Awaken your creative senses with an artistic voyage. Be it experiencing the world’s largest public display of modern Southeast Asian Art, or catching a world renowned theatrical or musical play, there are boundless stimulating artistic experiences that are suitable for all ages in Singapore. Art aficionados who looking to expand their artistic horizons will be excited by the opening of Southeast Asian’s world largest visual art centers in the world – the National Gallery Singapore. Set in Singapore’s national monuments of the former Supreme Court and City Hall, the National Gallery Singapore will play host to a series of international art exhibitions. Embark on retail therapy at Singapore’s hidden gem. Haji Lane is a tiny lane, hidden in the heart of the Arab quarter and it is a fashion’s paradise. With a collection of colourful and narrow shophouses that have been transformed into a hip retail quarter, Haji Lane features a wide range of accessories shops, chic shops selling unique fashion and home accessories like Shop Wonderland. Don’t forget to squeeze in some fun time with a visit to the family-friendly beach – Palawan Beach at Sentosa Island. 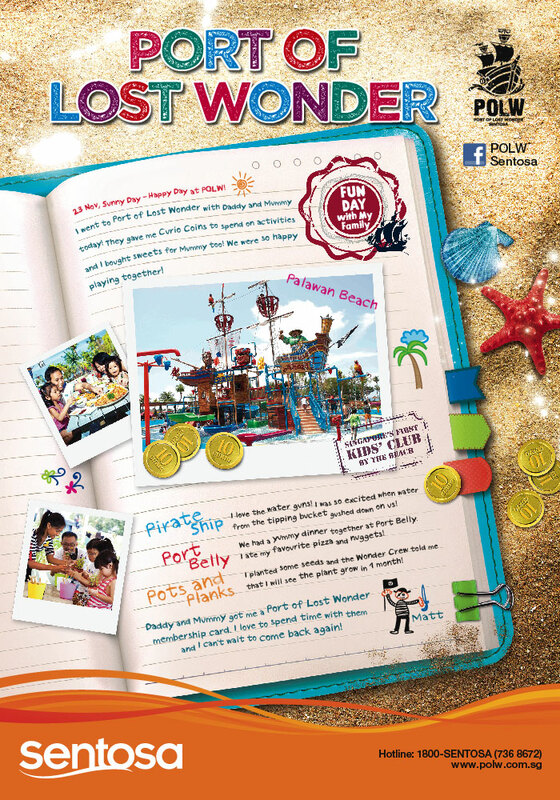 One of the key attractions at Palawan Beach is Singapore’s first kid’s club by the beach, Port of Lost Wonder. Especially dedicated to children aged 3 to 10 years old, the Port of Lost Wonder has a signature water play area, themed islets for picnics and leisure educational for children such as learning about nature and animals. Your child’s safety is the number 1 priority at the Port of Lost Wonder. There are Wonder Crew members that are located around the area who are well trained in children’s first aid, child development and psychology to ensure that no harm comes to your little ones. Here comes the most exciting part for foodies out there..
For affordably priced Latin American food, J’s Restaurant has great ambience for families to bond over meals and for friends to catch up while dining. The restaurant also caters to Vegetarians and is Halal. 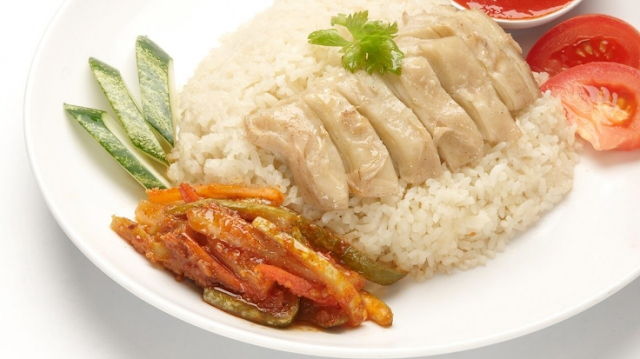 This Singapore’s ‘national’ dish – a delectable dish that can be found at almost every dining spot, from humble hawker centres to high-end restaurants. 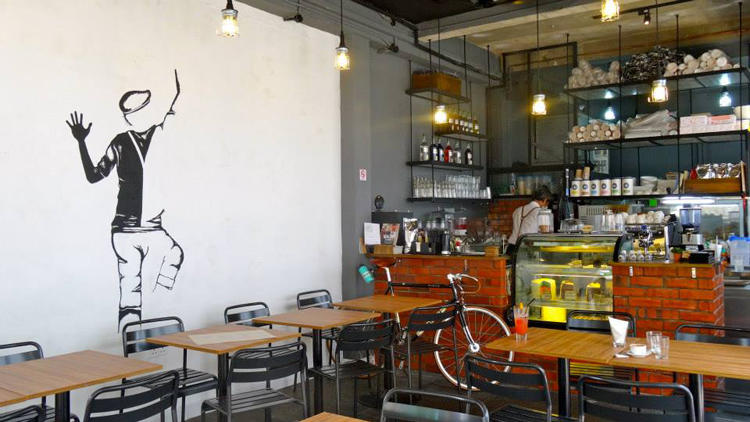 This people-watching corner spot at Haji Lane also doubles as Dutch-inspired Halal café, I Am. Scaling back on the breakfast-as-lunch fare elsewhere, its perpetual crowd flock to the restaurant for their selection of juicy burgers ($12.90-$17.90) including the charcoal fire-licked sloppy burger with a comfortingly messy sauce ($14.90) and sharing grub like melty chicken meatball Cheezy Bombs ($6.90) and baked garlic butter prawns ($10.90), all to kick start a day wandering through the street’s little retail nooks. 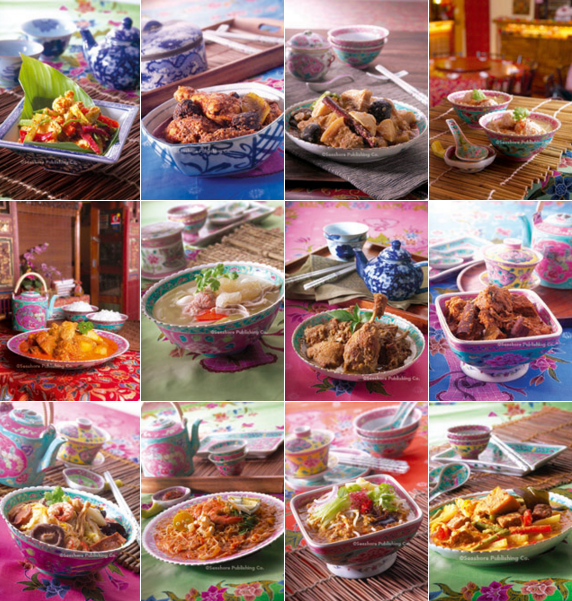 Colorful dishes. Authentic recipes. Helpful staff. 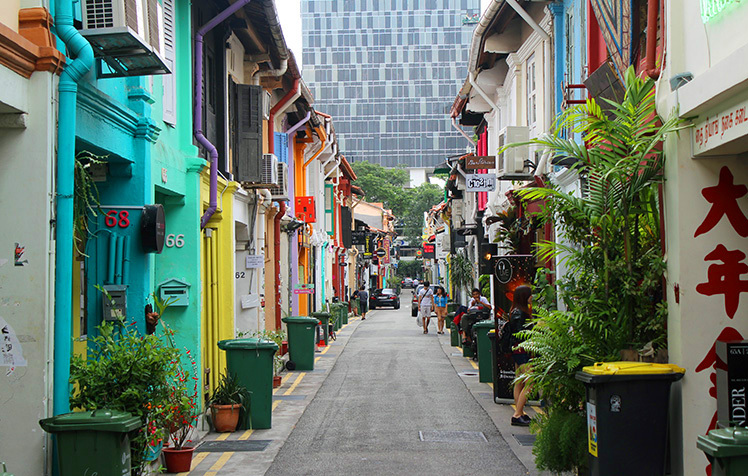 A lively neighborhood that transports visitors to a Singapore of old, with traditional shop houses, street stalls and the click-clack of mahjong tiles. Add affordable prices and an array of flavorful dishes -- cabbage rolls and curry fish head are fan faves -- and it’s easy to understand why this atmospheric Chilli Padi Nonya Restaurant in the Joo Chiat area has built a loyal following of locals and even out of towners who keep coming back for spice and flavor combinations found nowhere else. After indulging in all the yummy food, it is good to work off the calories by cycling around the city area. Check out Tokyobike, which is the first and only flagship boutique in Asia, outside of Japan, to arrive in Singapore. 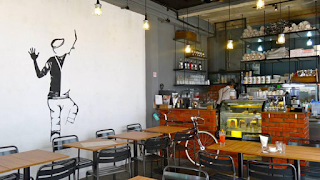 It is set in the colourful environment of Haji Lane that is wedged between the old and the new. Whether you are scooting around town or meandering through the city of Singapore, you will be able to find a Tokyobike that suits your lifestyle from the 5 models that are available at the store. If the night is still young, you should also catch the spectacular light and sound show at the Supertrees at Gardens by the Bay or enjoy the Singapore skyline on the OCBC Skyway. But, I also heard that some areas will be closed for maintenance on certain dates so check out the website before you go yea! Disclaimer: This post has been presented by STB, but all thoughts and opinions are my own. I don't get what the hype is all about when it comes to Singapore. I have been there four times I think and it's one of those things countries that I will try to avoid when I can. Being here in Malaysia, I'm so spoiled for food and please don't get me started with the attractions. So nice.. I wanna go sg kai kai d.. Jom.. Let's go together! I think everytime you will come something would have changed. I like the photography at Haji Lane building are so colourful there. jungle breakfast with wildlife! that seems very interesting! need to explore different side of singapore d.
I want to go to Universal Studios Singapore again. I like it there.